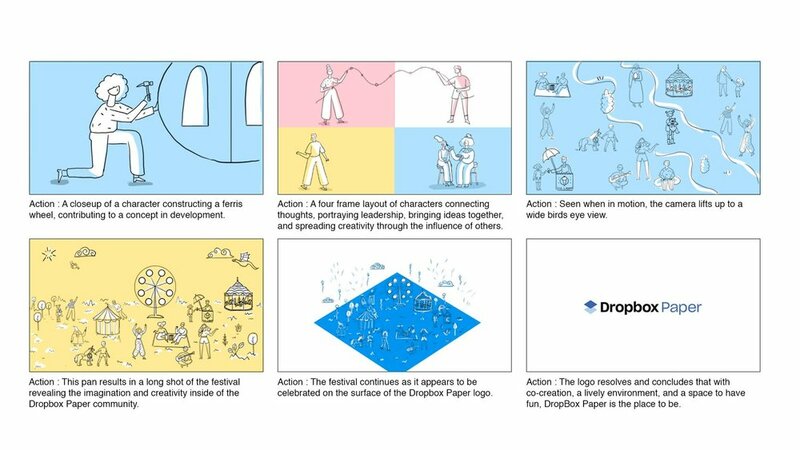 Dropbox Paper is the ultimate tool for co-creation. We chose to focus on the social aspect of Dropbox paper, highlighting what we think is the most compelling feature- its ability to bring together creatives from anywhere in the world. 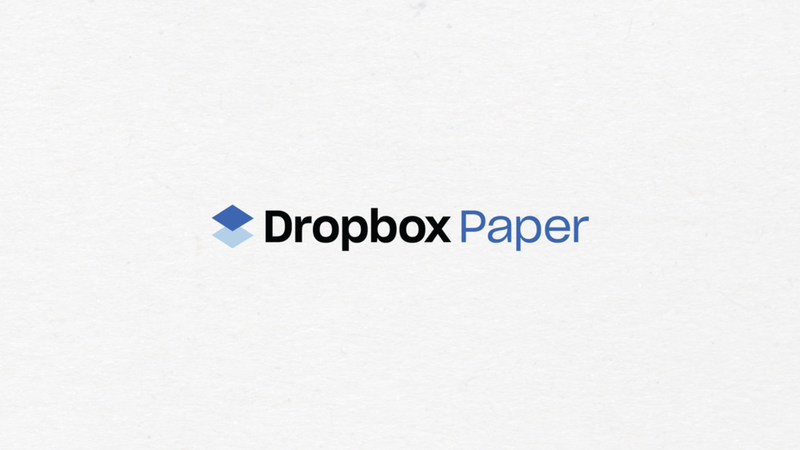 With the ability to connect so seamlessly with others in real time, its integration of so many ubiquitous social media and work apps, and its universally intuitive interface, Dropbox Paper is bringing people together in an entirely new way. To showcase this, we follow the story of an international community coming together to create something beautiful, and subsequently the celebration of their hard work. As we venture into this creative land, we see people who are normally separated by geography coming together in the Dropbox land to help each other prep the area for a festival. We see a Ferris wheel being built, lights being hung, alpacas being led to a petting zoo, and faces being painted. Each member of the community is contributing artistic and complementary elements to the project. There are subtle whimsical features throughout the space as well, showing that within the Dropbox world, the only limit is your imagination. As the camera pulls out we can finally see the members of this Dropbox land reveling in the fruits of their creative labors. Everyone has come out to celebrate with food, music, dancing, and fireworks. We believe this is how collaboration should feel- intuitive, social, and most importantly- worth celebrating.